The population of Central America is composed of a mixture of indigenous people and those of European descent. Two other ethnic groups present in the population are the blacks (presumably of African descent from the slave trade) and a significant Asian minority composed primarily of Koreans and Taiwanese. Ashley grew up on a small farm in Central Illinois and is the second youngest of eight children. She gave her life to Christ at age 12 and has been on a journey with Him ever since. Having studied nursing at Danville College and having worked in the healthcare setting for 9 years, she first felt called to the mission field after a short-term mission trip to Reynosa, Mexico in 2011. After seeking God’s will for her life, and feeling that He has called her to the mission field full time, Ashley plans to move to Reynosa and work with Isaiah 55 Deaf Ministries providing public health services to the children and their families as well as assisting with organizing medical teams. We have all heard of the situations along the US-Mexican border. It might be illegal immigration and the education and healthcare financial strains it puts on US border states. Or it could be the crime associated with drugs and gangs in the Mexican border towns. But most people agree that the Hispanic peoples are mostly hard working, friendly, and family oriented, and they need to know Jesus like we all do. GlobalGrace missionaries “Nono” and Kate Beale (shown here with daughter Sadler) minister in the town of Reynosa, Mexico, just across the border from McAllen, Texas. The Beales head up the Isaiah 55 ministry team, whose core ministry is the Isaiah 55 Deaf Ministry. This school for the deaf has opened up a whole new horizon for Mexican children who are unable to hear. Not only are they now able to participate in school and other learning activities, but they are also able to hear and understand the Gospel. Praise God. The Isaiah 55 Deaf Ministry has the added benefit of being a foundation for further outreach to the Reynosa community. Additionally, the Isaiah 55 team also host short-term teams that come down from the USA to participate in various building projects, including the buildings that house the school for the deaf. Remember the Beales in prayer because the violence has grown in recent months in many Mexican towns and safety has become a bigger issue. Continue to pray for the Isaiah 55 Deaf school, that the children will come to the Lord, and so will their families as the Beale’s ministry impacts the wider community. Kimberly Kaiser hails from Morton, Illinois and was saved by God’s grace in 1991. She grew in Christ while attending college in Plano and Denton, Texas. After graduating with a Bachelor’s degree in business administration from Texas Woman’s University, she worked in office administration in Central Illinois several years. Then God led her to an opportunity near Río Bravo, Mexico to serve on a mission team for a Christian school for the Deaf. Kim says, “It was a time of new experiences, learning, and witnessing the Lord’s faithfulness. I feel blessed to be a part of the I55 Team here in Reynosa, Mexico performing administrative and accounting tasks.” Kim loves photography and picture-taking...capturing life and people and places. Isaiah 55 Deaf Ministries (MISIÓN ISAÍAS 55) is a grace-based mission that evangelizes the communities of Mexico through the education of the deaf, an unreached and often neglected people group. A vital part of this mission is ministering to volunteer work teams as they join us in fulfilling the great commission. Isaiah 55 is a grace-based ministry whose primary focus is evangelizing the deaf, an unreached people group in Mexico. This is done mainly through education. Isaiah 55 builds schools, trains teachers and then provides a quality education for deaf children with the ultimate goal of sharing the gospel with the students and their families. Isaiah 55 also has the privilege of hosting work teams from all over the US and providing them an opportunity to participate in short-term mission projects helping the full-time staff with not only construction projects but also in the various ongoing mercy ministries such as vacation Bible school, ESL classes, sports clinics, medical missions. Erin Knobloch comes from a big family and a big farm in Iowa. Erin was saved at age 17 and has been following Jesus on a journey ever since. After studying English and Spanish at Eureka College, she moved to Mexico in 2003. She lives in Reynosa, a transient border city of nearly a million people. 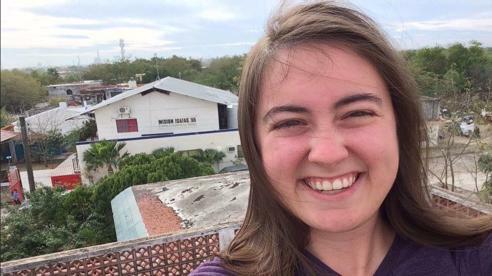 Erin says, “My job is to coordinate with government, local non-profits, and the Church for the progress of the deaf students and vast community surrounding them.” Her leftover energy is spent singing in the Reynosa Choir, pulling weeds in the yard, and reading. “The Gospel is transforming my life and setting me free. I hope to witness the impact of the Kingdom of God in Reynosa and beyond.” Erin’s home church is the Apostolic Christian Church of Washington, IL. Carlos was born in Mexico City. His family moved to Ciudad Victoria, Mexico, to start a Christian school, Renuevo. Although he has an MBA in Business Administration, he spent several years working at Renuevo as well as within the University system. One of his great passions is to teach all school subjects with a Christian perspective and also to train teachers to do the same, which is what he does at a school for the Deaf in Reynosa, Mexico. He is also working on developing the curriculum with a Christian worldview. Mario and Keila met their last year of high school (1989) and married in 1996. In 1998, he was hired by LG Electronics as an engineer in computer science in Reynosa. From 2007 to Aug 2016 Mario was working as an IT manager for an automotive company, and he was in charge of the 4 factory plants located in Reynosa. As a bi-vocational pastor, Mario has a passion for sharing the Gospel and leads Bible studies three or four evenings a week. He and wife, Keila, started a church in their home which soon reached 50-60 adults and 25 children. Two years ago, Mario started leading VBS with Isaiah 55, and the relationship grew. He is now serving as the full-time pastor of the ministry, leading the staff and teachers in devotions, Bible study, and worship. Keila has been working with Isaiah 55 Ministries organizing VBSs, and their two high-schoolers, Debbie (18) and Ian (16), enjoy working with volunteer teams as translators. Using his many years of experience as an engineer, Mario will also play a key role in further developing the vocational and production ministries in Aquiles Serdán, the impoverished neighborhood where Isaiah 55 is working. In the evenings, Mario will continue his ministry with his local church fellowship. 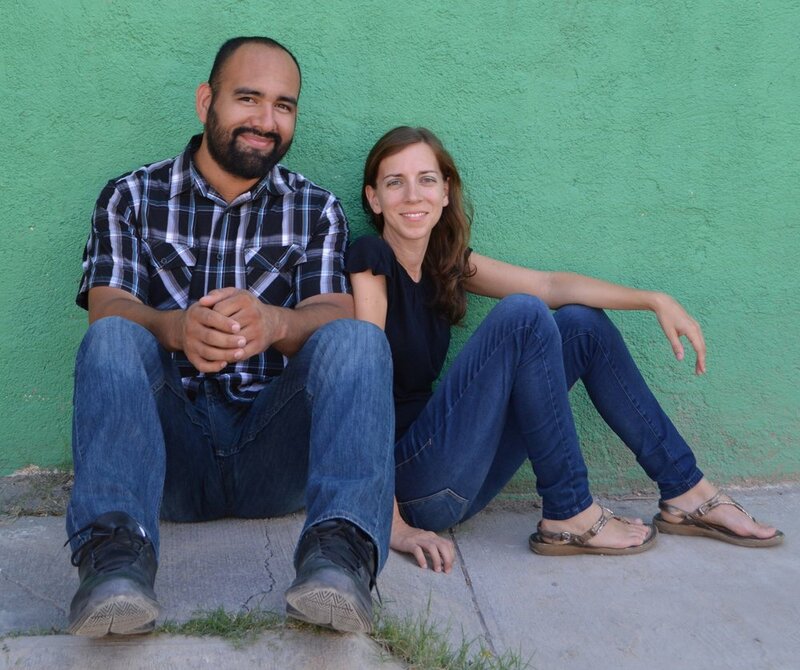 Please pray for Mario and Keila in their roles with the ministry. Pray that the love of Jesus will naturally overflow on those God brings his way. Also, pray for Mario and Keila as they trust God for the much needed financial support for their family as they serve. Doug and Laura Gamble returned in August 2017 to San Jose, Costa Rica, to teach and minister at the Spanish speaking ESEPA seminary. Doug will be teaching Bible classes to students from Costa Rica and other Spanish speaking countries such as Nicaragua and Colombia. Some students are preparing for ministry, some are already serving in ministry but are furthering their theological education, and others are preparing to go to the mission field. Laura will be teaching and mentoring women. 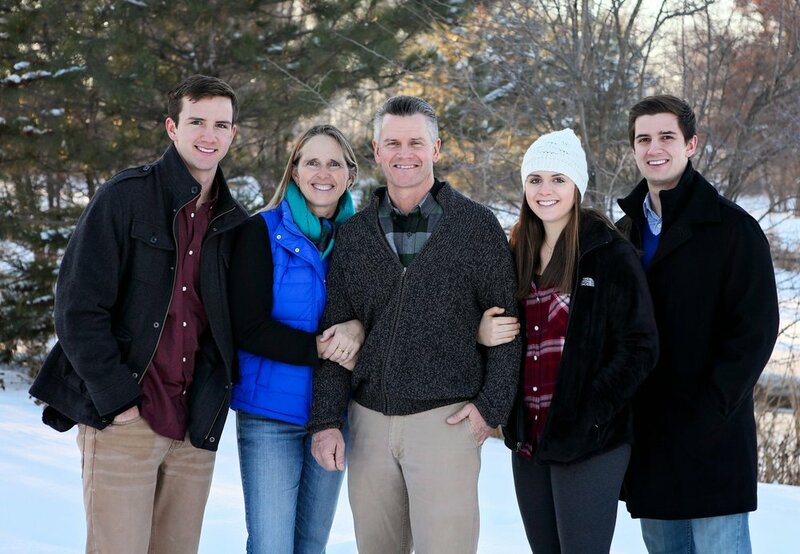 From 1999-2013, Doug and Laura and their 3 children lived and worked in Costa Rica in 2 different international schools. Ministry activities included teaching Bible studies with students, helping out the local chapter of Young Life, discipling young adults in the church, preaching sermons, teaching Sunday school, and development projects with groups such as Habitat for Humanity. From 2013-2017, the Gambles have been in Boise, Idaho on a working furlough, while their daughter, Ellie, graduated from High school. Doug and Laura’s3 adult children are all living in the United States. Their oldest son, Jesse, works as an admissions counselor for Trinity University in San Antonio, Texas. Their second son, Luke, plays tennis for and attends Princeton University, in New Jersey, and their daughter, Ellie, plays tennis for and attends Point Loma Nazarene University in San Diego, California. Meg Randall was born and raised in South Carolina, in a small rural town where she was blessed to have a biological and church family who challenged and loved her well. Since 2008, Meg has regularly volunteered with Isaiah 55 on a short-term basis. Week-long trips turned into a summer internship, longer visits, and an increasingly strong pull on her heart to join in this work more fully. In 2016, she graduated from Erskine College with a BA in Spanish and Political Science. After graduating, Meg stayed in South Carolina, working at an immigration law firm representing a wide variety of immigrants and their families. After returning from a trip to Reynosa in October 2017, she couldn’t shake the desire to leave the green hills and move to the border. 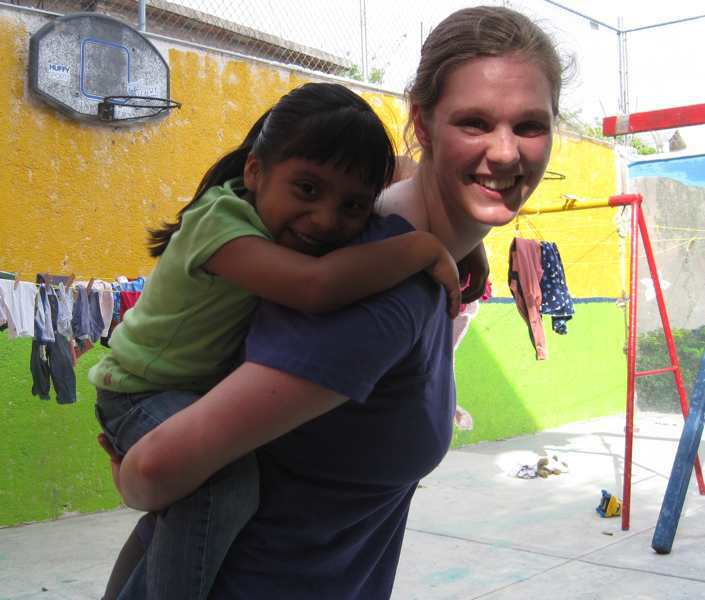 She is currently raising support to join Isaiah 55 full time and hopes to be in Reynosa soon!